Johann Sebastian Bach (1685 – 1750) was a prolific German composer and organist whose sacred and secular works for choir, orchestra, and solo instruments drew together the strands of the Baroque period and brought it to its ultimate maturity. Bach was not always appreciated during his own lifetime, and he was considered to be "old-fashioned" by his contemporaries. 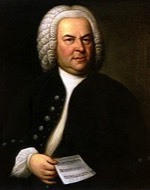 Nevertheless, Bach is now considered one of the most famous and influential composers of all time. 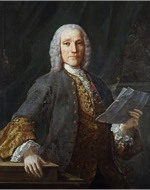 Domenico Scarlatti (1685 – 1757) was an Italian composer who spent much of his life in Spain and Portugal. He was extremely influential in the development of the Classical period in music through his individual style, though he lived mostly during the Baroque era. Scarlatti wrote over five hundred keyboard sonatas, generally single movements in binary form. Modern pianoforte technique owes much to their influence. Scarlatti was also a pioneer in the realm of rhythm and musical syntax: syncopation and cross-rhythms are common in his music. 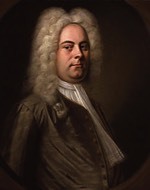 George Frideric Handel (1685 – 1759) was a German-born British Baroque composer. Drawing on the techniques of the great composers of the Italian Baroque, he deeply influenced in his turn many composers who came after him. 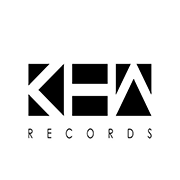 Handel has generally been accorded high esteem by fellow composers, both in his own time and since. Bach apparently said "Handel is the only person I would wish to see before I die, and the only person I would wish to be, were I not Bach." Mozart is reputed to have said of him "Handel understands effect better than any of us. When he chooses, he strikes like a thunder bolt", and to Beethoven he was "the master of us all". Wolfgang Amadeus Mozart (1756 – 1791) was a prolific and influential Austrian composer of the Classical era. His output of over 600 composition. Mozart is among the most enduringly popular of classical composers and many of his works are part of the standard concert repertoire. Mozart lived at the center of Viennese musical life, and knew a great number of people, including not just his fellow musicians, but also theatrical performers, fellow transplanted Salzburgers, and many aristocrats, including a fairly close acquaintance with the Emperor, Joseph II. 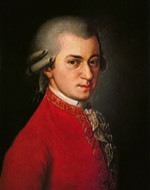 Mozart's physical appearance was described by tenor Michael Kelly, in his Reminiscences: "a remarkable small man, very thin and pale, with a profusion of fine, fair hair of which he was rather vain". 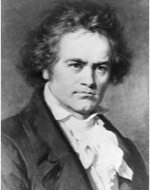 Ludwig van Beethoven (1770 – 1827) was a German composer and virtuoso pianist. He was one of the most famous and influential musicians of all time; occasionally he is referred to as one of the "three Bs" (along with Bach and Brahms) who epitomize that tradition. Beethoven suffered from gradual hearing loss beginning in his twenties. He nonetheless continued to compose his masterpieces, and to conduct and perform, even after he was completely deaf. 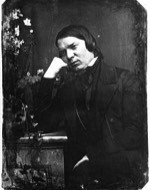 Robert Alexander Schumann (1810 – 1856) was a German composer and influential music critic. He is one of the most famous Romantic composers of the 19th century. A hand injury prevented him from pursuing a career as a virtuoso pianist. In 1839 he married the pianist Clara Wieck; the couple sued her father when he refused to consent to their engagement. For the last two years of his life, Schumann was confined to a mental institution. 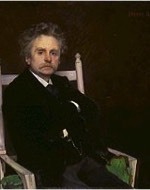 Edvard Hagerup Grieg (1843 – 1907) was a Norwegian composer and pianist. He is best known for his collection of piano miniatures Lyric Pieces. Grieg is renowned as a nationalist composer, drawing inspiration from Norwegian folk music. He died in the autumn of 1907, aged 64, after a long period of illness. His final words were "Well, if it must be so". The funeral drew between 30,000 and 40,000 people out on the streets of his home town to honour him. 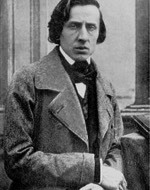 Frédéric Chopin (1810 – 1849) was a Polish pianist and piano composer of the Romantic period. He invented new musical forms, such as the ballade and introduced significant innovations into existing forms such as the waltz, nocturne, étude and prelude. Although Chopin lived in the 1800s, he was educated in the tradition of Beethoven, Haydn, Mozart and Clementi; one of his students, Friederike Muller, wrote the following in her diary about Chopin's playing style: “His playing was always noble and beautiful; his tones sang, whether in full forte or softest piano. He took infinite pains to teach his pupils this legato, cantabile style of playing. His most severe criticism was "He—or she—does not know how to join two notes together." 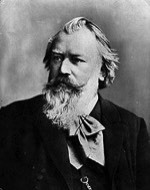 Johannes Brahms (1833 – 1897) was a German composer. The early Romantic composers also had a major influence on Brahms. Particularly influential was Schumann, who also helped pave Brahms's career as a young composer. Brahms was not a mainstream Romantic, but rather maintained a Classical sense of form and order within his works – in contrast to the opulence and excesses of many of his contemporaries. Thus many admirers saw him as the champion of traditional forms and "pure music," as opposed to the New German embrace of program music. 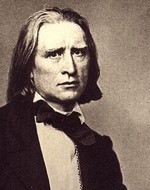 Franz Liszt (1811 – 1886) was a Hungarian virtuoso pianist and composer of the Romantic period. He is considered to be one of the greatest pianists in history. Liszt is frequently credited with re-defining piano playing itself. He contributed greatly toward the Romantic idiom in general. His writings and philosophies about the nature of music as an art, the role of the artist, and the necessary future direction of music had a significant effect on the musical culture of the time. 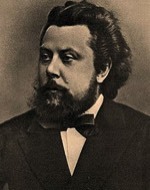 Modest Mussorgsky (1839 – 1881) was a Russian pianist and composer. He was an innovator of Russian music. He strove to achieve a uniquely Russian musical identity, often in deliberate defiance of the established conventions of Western music. Mussorgsky depicts in his music "the insulted and the injured" with all their passion and pain. Many of his major works were inspired by Russian folklore and other nationalist themes, including the piano suite Pictures at an Exhibition. However, while Mussorgsky's music can be vivid and nationalistic, it does not glorify the powerful and is at times antimilitaristic. For this reason, he were considered dangerous extremists by the emperor and his court. Enrique Granados (1867 – 1916) was a Spanish pianist and composer. 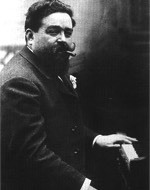 His music is in a uniquely Spanish style and, as such, representative of musical nationalism. Many of his piano compositions have been transcribed for the classical guitar and are generally considered as some of the most beautiful music in the guitar repertoire. Granados was an important influence on at least two other important Spanish composers and musicians, Manuel de Falla and Pablo Casals. 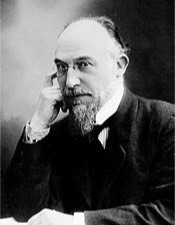 Erik Satie (1866 – 1925) was a French composer, pianist and writer. He introduced himself as a "gymnopedist" from 1887, shortly before writing his most famous compositions, the Gymnopédies. Erik Satie, the father of ambient music, was one of music's great originals. His simplicity, essential harmonies, freedom of form of musical understatement made a strong impression on composers like Debussy, Ravel and Stravinskij. Some view him as a serial precursor, being ahead of many twentieth century avant-garde artistic ideas.